Regardless, the World Health Organization stands by the HPV vaccinations efficacy, believing them to be useful tools for “preventing” cervical cancer. Despite mounting evidence of Gardasil dangers, other countries remain under the thumb of Merck’s vaccinations spell. 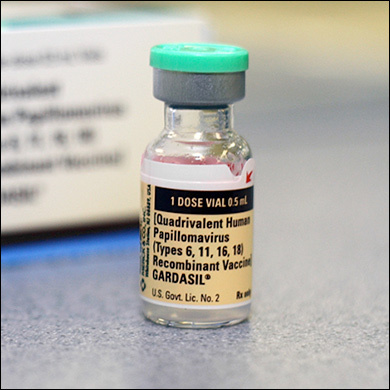 For instance, the Unites States avidly recommends that teenage girls be HPV vaccinated, as they promote industry-backed studies that tout the vaccination’s “effectiveness.” The United States actively uses tax payer dollars to fund federal Vaccines for Children programs, which include the use of Gardasil, provided by the Centers for Disease Control. In fact, 20 states have passed laws that set aside funds for Gardasil education programs and implementation. As governments believe they are promoting general health and wellness, it’s important to look at the documented statistics of people experiencing dangerous side effects. A Candadian medical study, conducted by the University of British Columbia’s Neural Dynamics Research Group, first reported by the Washington Examiner, included a list of Gardasil side effects that entailed, death, convulsions, paraesthesia, paralysis, Guillain-Barre syndrome, transverse myelitis, facial palsy, chronic fatigue syndrome, anaphylaxis, autoimmune disorders, and deep vein thrombosis,” among others. This isn’t the first wave of medical corruption Merck has promoted. Merck is known for falsifying test results for their own mumps vaccines. Two former employees filed a lawsuit in 2010 alleging the company convinced the federal government to purchase hundreds of millions of dollars worth of worthless vaccines. Merck is also known for their drugging of cattle with a recycled anti-partitioning drug called Zilmax. They are most infamously known for their Vioxx scandal from 1999 to 2004, which yielded 38,000 deaths and a massive recall. Why aren’t all government withdrawing their support from these dangerous HPV vaccinations like Gardasil?